Slingshot’s RPM has was a great kite already when it was released year 2009. The RPM is now released in its 4th version, tuned to perfection! You´re probably familiar with Ruben Lenten and Youri Zoon. 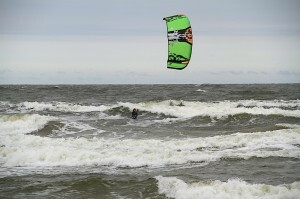 Ruben is the guy’s that make insane kiteloops, Youri is the world’s kiteboarder champion. Perhaps is it a coincident that they both ride with Slingshot or perhaps do other kite manufacturers simply not produce kites that are good enough for those who requires top performance? 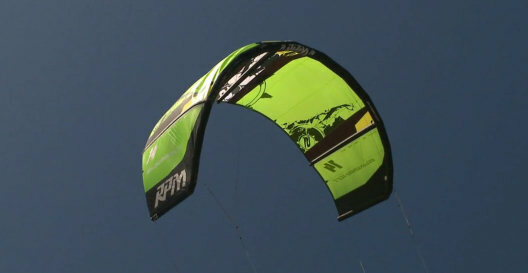 Slingshot claims that the new 2011 RPM is there strongest kite ever. The kite is an extension of the previous years 2010 version, maintaining the open C profile with dual pulley-bridles like we’re a re used to. The 2011 RPM comes with 3 split strut design which means that the struts are embedded into the canopy and hence makes the kite even more solid with enhanced durability. 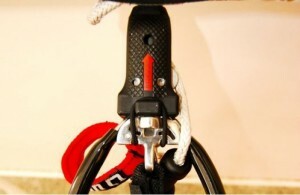 The 2011 RPM has a one-pump inflation system and four different connection points for the rear lines that allows you to tune the settings for your prefered bar pressure. 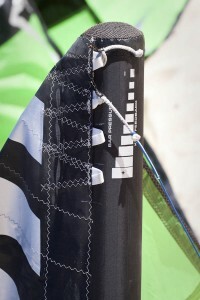 The front lines also have different connection options so the kite can be tweaked for freestyle och wakestyle. The solid metal bar is more or less identical to the previous year and it remains a leader on the market. A small modification has been made on the sheeting rope where a rubber tube is attached in the end of the rope to prevent the rope from sticking awkwardly into the shutter box. The smallest bar set up is a 17 inch bar with 20 meter lines extending to 20 inch with 27 meter lines for the biggest kite. The lines are the strongest on the market and each of them can carry a load on 800 lb, so you don’t snap these lines in the first case! While testing a 9 meter kite on the beach in lighter wind we find out that the kite flies fast through the air, has great stability and generates some impressive lift even in light wind conditions. The bar pressure settings can be set between medium light to heavy and you can really feel the difference here. Adjust the settings to wake style and the kite sits back a little in the wind window. Perfect when you want to be able to park the kite in the sky and keep it in the same position so that handle passes gets easier since you have “plenty” of time to perform your trick without having the kite dispositioned in the wind window. The 2010 RPM was a great kite and it´s no big surprise that Slingshot has chosen to tune up an already winning concept with some improvements when it comes to wind range, stability and rigidity. The RPM is now a very refined kite and you really get value for this kite, which besides has a good second hand value as well. Slingshot has set the bar high for all competitors this year and it will be interesting to see if they can match this monster. 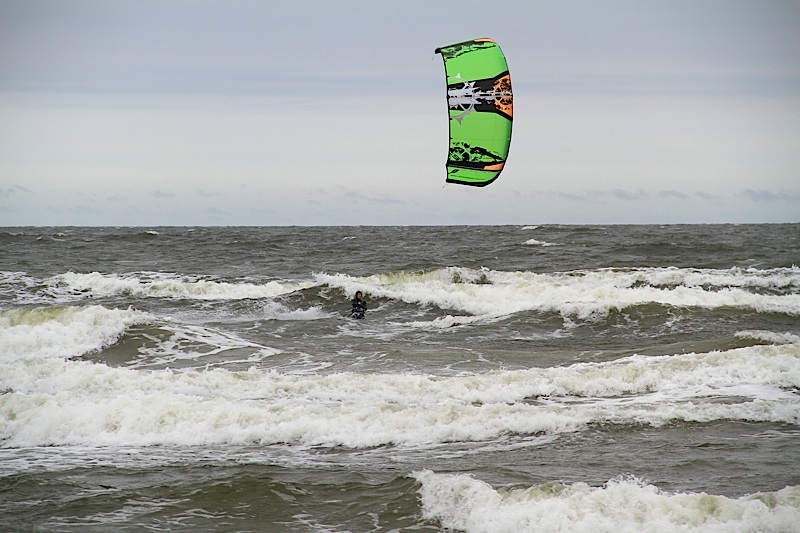 In fact with RPM, Slingshot might squeeze the market for the also very popular Fuel which from now on may be the choice for the more extreme and aggresive form of kitesurfing.